Are you looking for a poolside structure offering a restroom, storage and entertainment space? 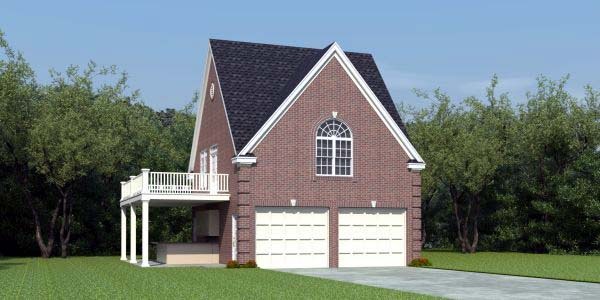 This 2-car garage apartment plan goes above and beyond the call of duty! You can have all the conveniences of a poolside structure plus extra parking and a full apartment upstairs. On the main level, the 2-car garage and storage area offers 651 square feet of usable unfinished space. Park the cars inside, sore patio furniture and pool supplies through the winter. The possibilities are endless. A full bath is at your service keeping wet guests from leaving drippy footprints in your home. In addition, you’ll find a laundry area where you can wash beach towels and other items at your convenience. The laundry area will also accommodate the needs of the person living in the garage apartment above. Take a look at the outdoor entertainment space outfitted with a kitchenette and eating bar. The patio is perfect for dining alfresco by the pool. Two staircases lead the way to the second floor where the 680 square foot apartment is ideal for weekend guests, your college student or rental property. The living areas include an efficiency kitchen, snack bar, spacious living room with access to the deck, a full bath and a vaulted bedroom. 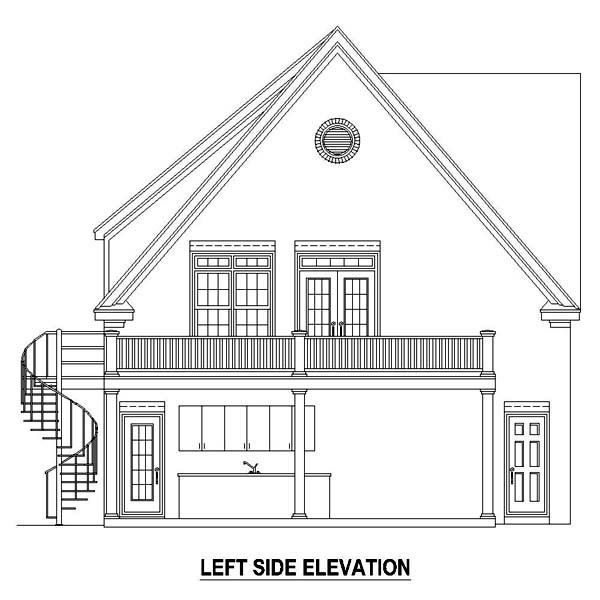 One-of-a-kind, this unique carriage house plan is sure to accommodate a multitude of needs.